I have the amazing privilege of sharing the platform with a diversity of Christian speakers and authors. Last Saturday I spoke for the Prison Fellowship Centurions program near Lansing, Michigan. There where three speakers at this particular gathering. One was a Centurion from within the group and the other, besides myself, was Dr. Cornelius Plantinga. Plantinga recently retired as president of Calvin Theological Seminary in Grand Rapids. 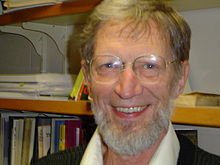 Cornelius Plantinga has written several books including the award-winning Not the Way It’s Supposed to Be: A Breviary of Sin (1995), Engaging God’s World: A Christian Vision of Faith, Learning and Living (2002), and Discerning the Spirits: A Guide to Thinking About Christian Worship (2003). Cornelius Plantinga, who goes by Neal among his friends, is now Senior Research Fellow at the Calvin Institute of Christian Worship and president emeritus of Calvin Theological Seminary. He spoke on “The Christian’s Calling.” He gave a magnificent and simple presentation of the Kuyperian worldview. His emphasis on the kingdom of God stressed the fact that we are all “called” to vocation (our divine calling), not just to get a job and do something holy (mission or evangelism). This view corrects an oft misused interpretation of Paul’s idea of tent-making as the biblical norm for mission and ministry. I almost shouted “Amen” at this point but this was a lecture, not a highly emotional praise context. In my heart I said, “Of course. This is the bottom line difference between the believer and the unbeliever.” We do not have “proof” (as in final and certain proof) for our faith. But we have been seized by a person who loves us and lives in us. We know this grace and love flowing out of our inner being. We can do no other than worship and follow Christ because we have come to know him so deeply through his grace. The unbeliever refuses to give his mind and heart to such a God precisely because he chooses to remain independent and autonomous. Ultimately the believer has God alone to thank for her faith. The unbeliever has no one to blame but herself since she refuses to give God even a whisper of a real opportunity to crack open the door of her interior being. Artur Sebastian Rosman liked this on Facebook. I’m an alumni of the first class of the Centurions Program. To busy to stay involved but it’s a good program. I’m an alumnus of the first class of the Centurions Program. Too busy to stay involved but it’s a good program. The Plantinga brothers have been a rich blessing and a huge influence within our church for so many decades now. I thank God for them. A couple months ago, Alvin gave a great lecture to a very religiously diverse audience at NYU. He shared not just philosophical argument, but personal testimony. I also have it on my 3-5 year plan to get Neil out here to preach at my church! How great would that be?!? I had motives for not wanting the world to have meaning; consequently, assumed it had none, and was able without any difficulty to find satisfying reasons for this assumption….The philosopher who finds no meaning in the world is not concerned exclusively with a problem in pure metaphysics; he is also concerned to prove there is no valid reason why he personally should not do as he wants to do….For myself, as no doubt for most of my contemporaries, the philosophy of meaninglessness was essentially an instrument of liberation. The liberation we desired was simultaneously liberation from a certain political and economic system and liberation from a certain system of morality. We objected to the morality because it interfered with our sexual freedom (Aldous Huxley, “Confessions of a Professed Atheist,” Report: Perspective on the News, June 1966, Vol. 3, p. 19). Thanks for this, John. I recently discovered Alvin Plantiinga on YouTube and have enjoyed his presentations (and his dry humor). But I had never heard of Cornelius (Neil, Neal). All these years and I never knew he and Alvin were brothers. What a pair! Amazing dinner discussions!